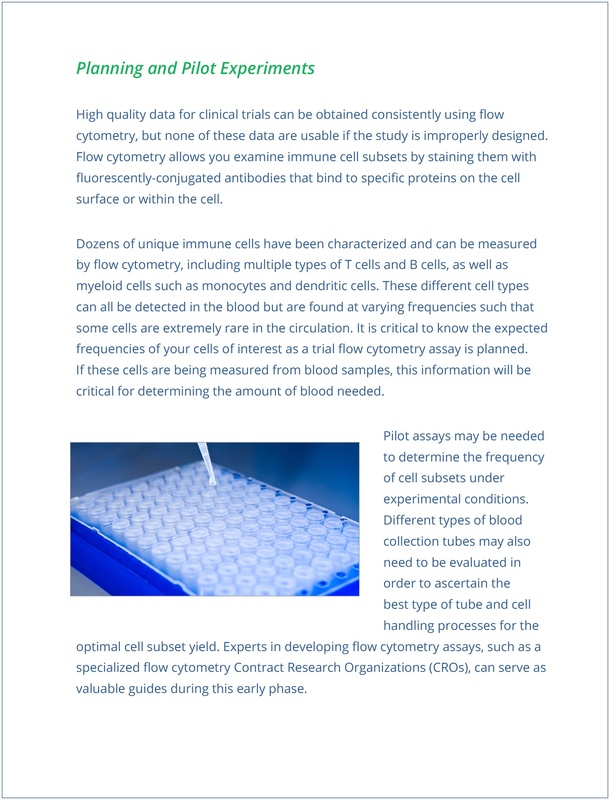 Flow cytometry can measure multiple cellular characteristics simultaneously, which makes it an “assay of choice” for profiling cell phenotypes or measuring production of immune molecules, and it can also be used to characterize signature biomarkers in a variety of situations. 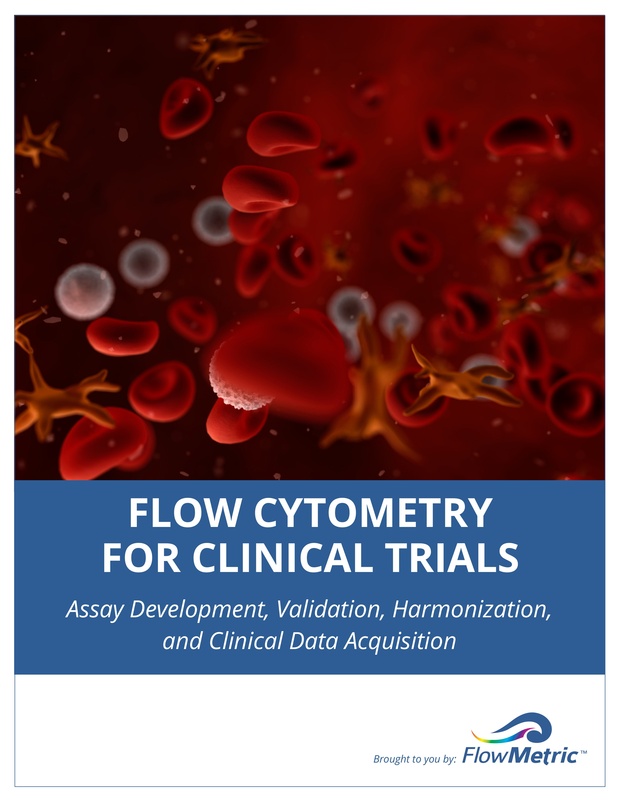 Unlike basic research, flow cytometry assays for clinical trials must fulfill regulatory requirements including instrument and method validation. 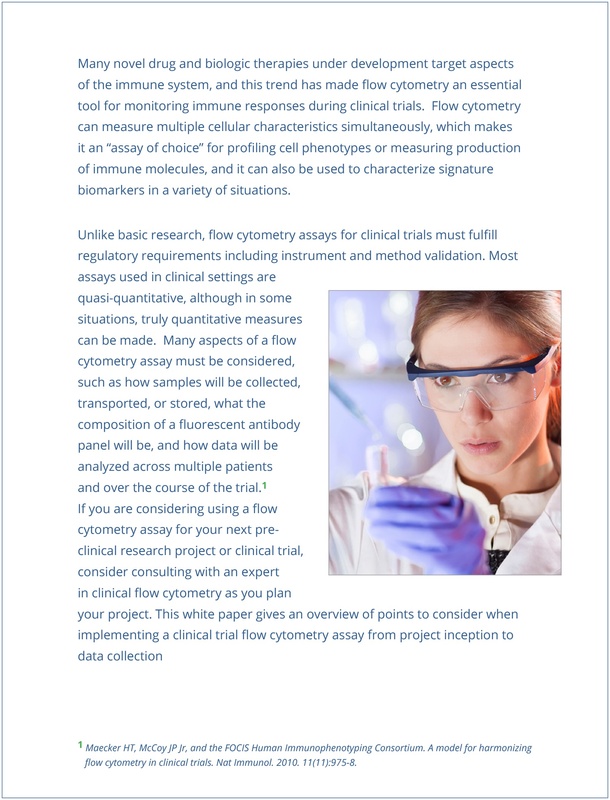 If you are considering using a flow cytometry assay for your next pre-clinical research project or clinical trial, consider consulting with an expert in clinical flow cytometry as you plan your project. 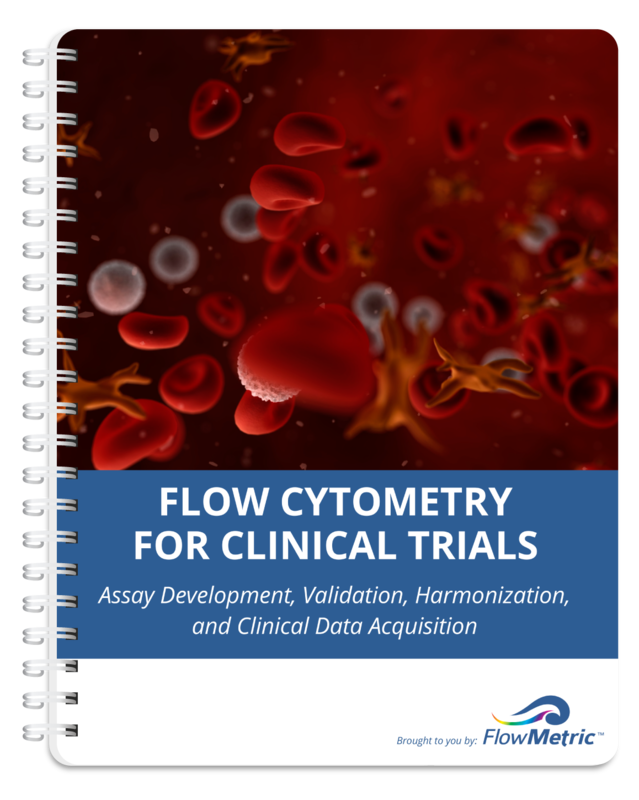 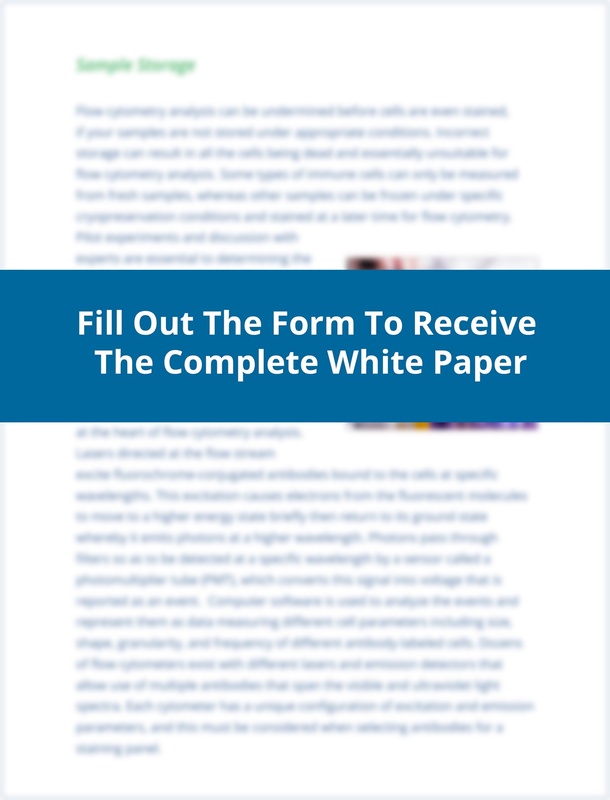 This white paper gives an overview of points to consider when implementing a clinical trial flow cytometry assay from project inception to data collection.